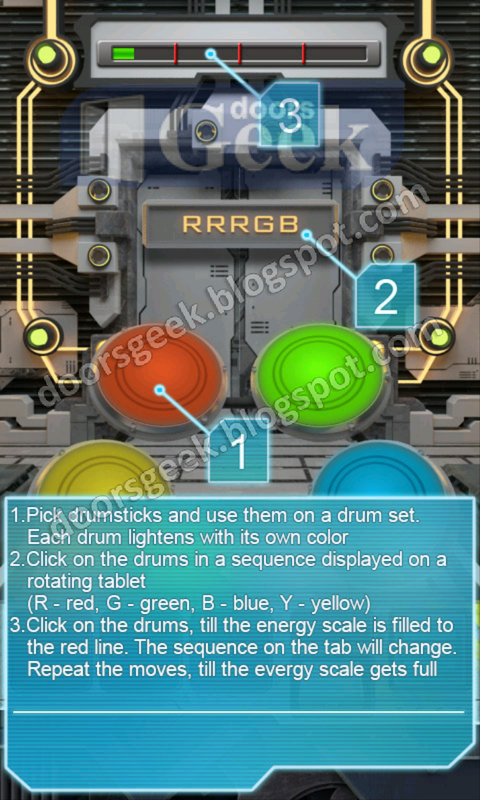 Tap on the drums until the energy scale is filled. 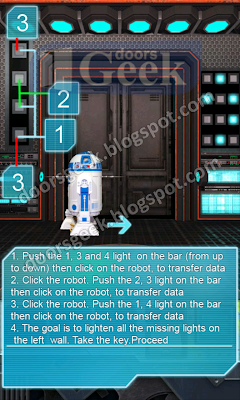 The sequence in the tab will change. 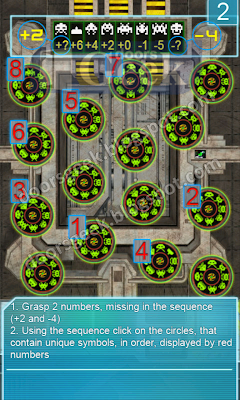 Repeat the moves until the energy scale is full. 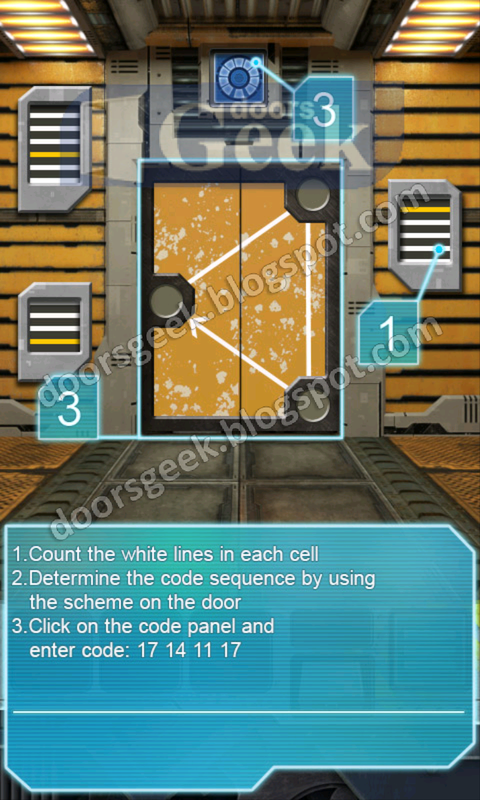 100 Doors : Aliens Space [Level 66] Answer, Cheats, Solution for Android, iPhone, iPad, iPod. 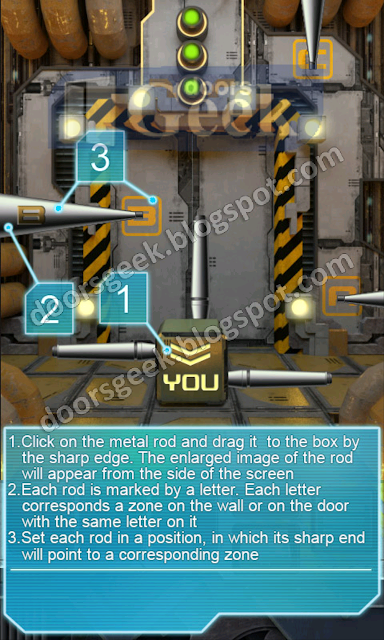 Tap on the metal rod and drag it to the box by the sharp edge. 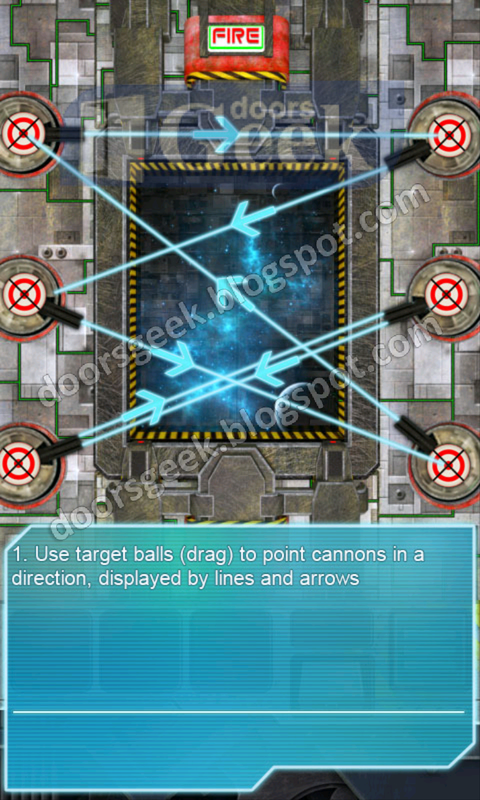 The enlarged image of the rod will appear from the side of the screen. Each rod is marked by a letter. Each letter corresponds to a zone on the wall or on the door with the same letters on it. 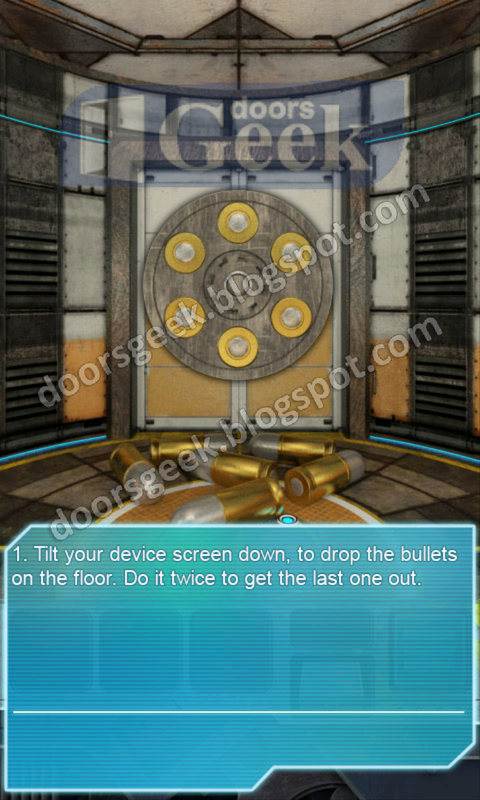 100 Doors : Aliens Space [Level 65] Answer, Cheats, Solution for Android, iPhone, iPad, iPod. 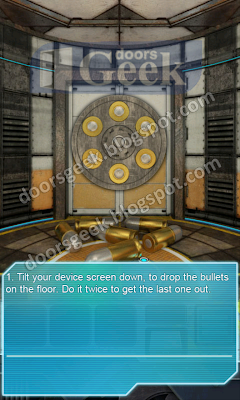 100 Doors : Aliens Space [Level 64] Answer, Cheats, Solution for Android, iPhone, iPad, iPod. 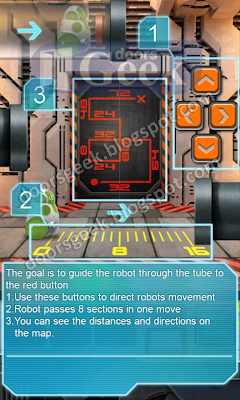 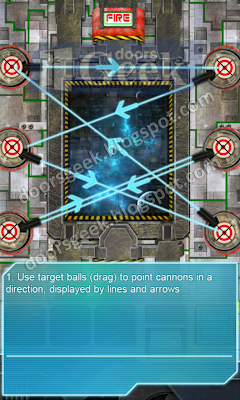 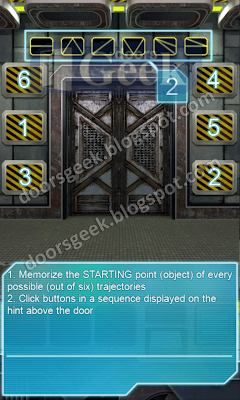 100 Doors : Aliens Space [Level 63 Answer, Cheats, Solution for Android, iPhone, iPad, iPod. 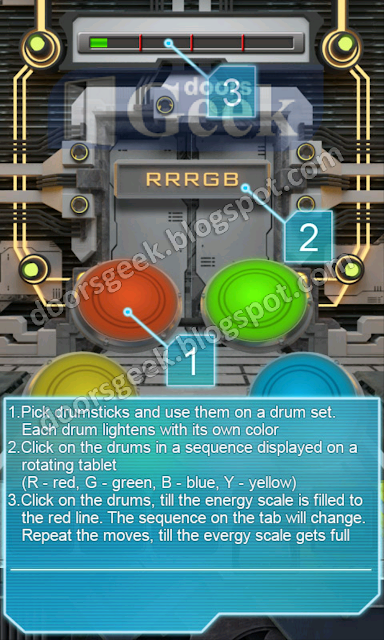 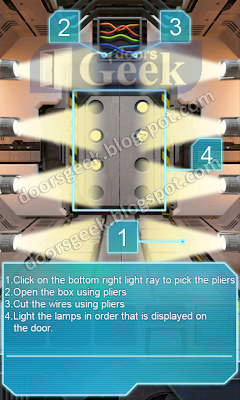 100 Doors : Aliens Space [Level 62 Answer, Cheats, Solution for Android, iPhone, iPad, iPod. 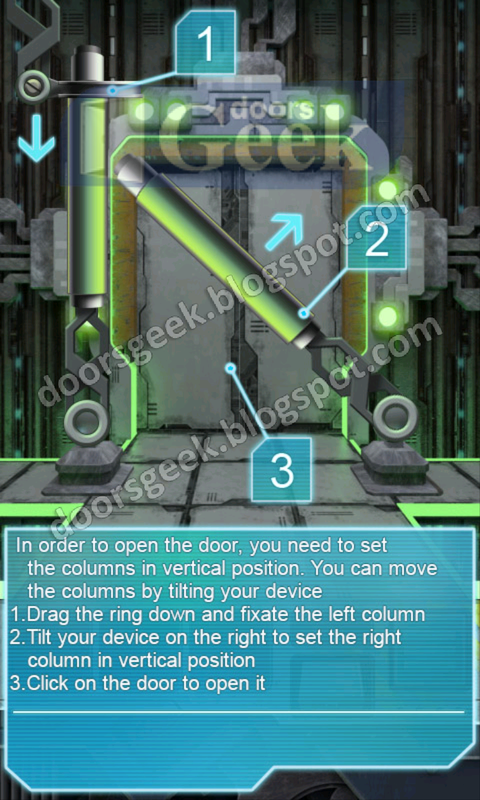 In order to open the door, you need to set the columns in vertical position. 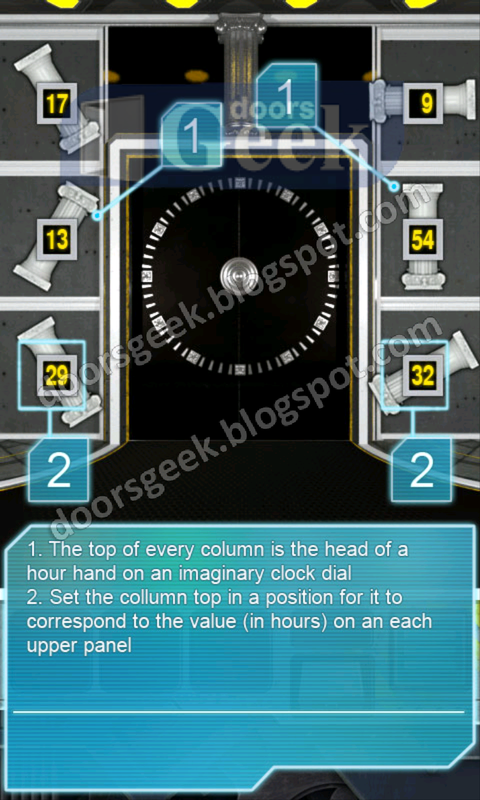 You can move the columns by tilting the device. 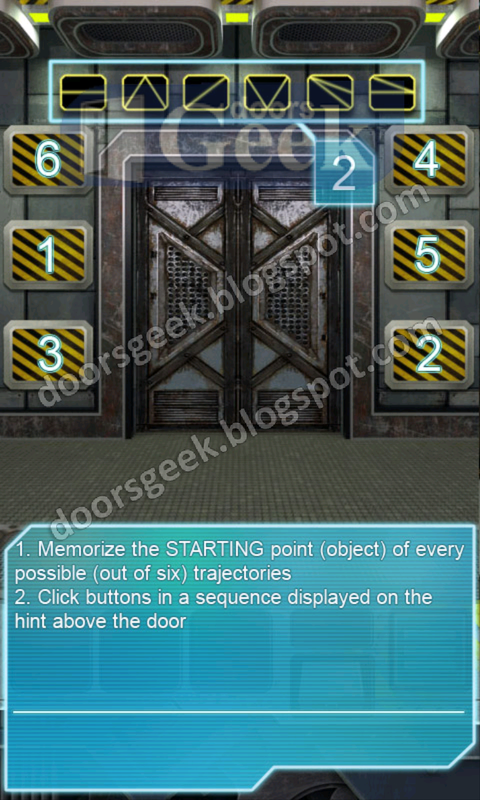 100 Doors : Aliens Space [Level 61 Answer, Cheats, Solution for Android, iPhone, iPad, iPod. 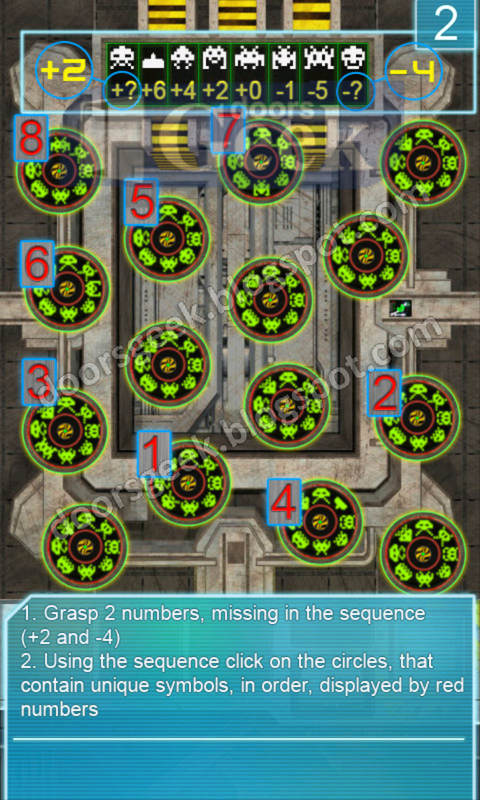 Set the elements as shown in the picture above. 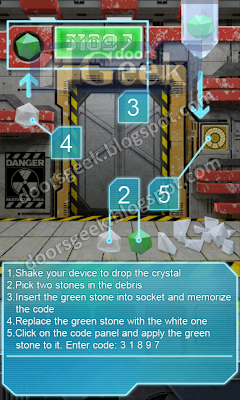 100 Doors : Aliens Space [Level 60] Answer, Cheats, Solution for Android, iPhone, iPad, iPod. 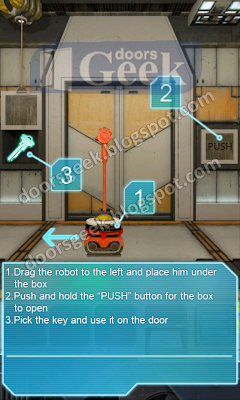 100 Doors : Aliens Space [Level 59] Answer, Cheats, Solution for Android, iPhone, iPad, iPod. 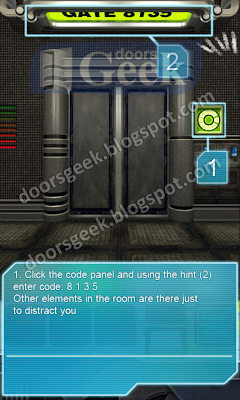 100 Doors : Aliens Space [Level 58] Answer, Cheats, Solution for Android, iPhone, iPad, iPod. 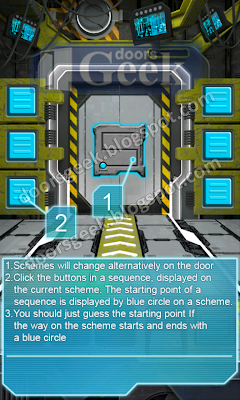 100 Doors : Aliens Space [Level 57] Answer, Cheats, Solution for Android, iPhone, iPad, iPod. 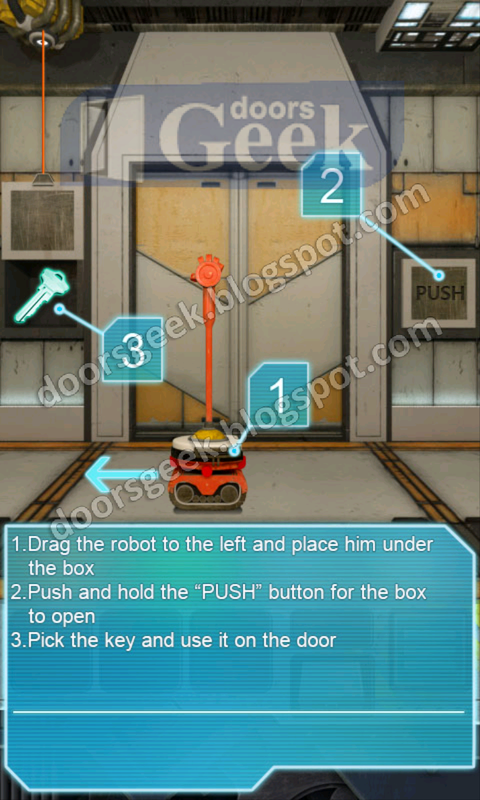 100 Doors : Aliens Space [Level 56] Answer, Cheats, Solution for Android, iPhone, iPad, iPod. 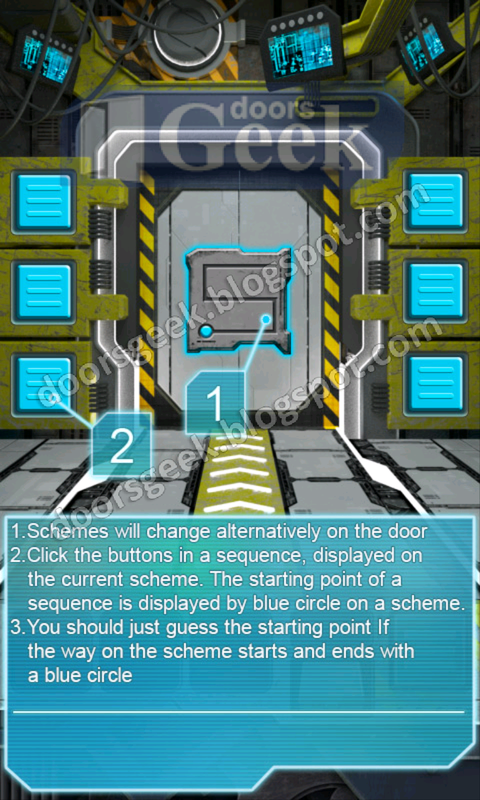 100 Doors : Aliens Space [Level 55] Answer, Cheats, Solution for Android, iPhone, iPad, iPod. 100 Doors : Aliens Space [Level 54] Answer, Cheats, Solution for Android, iPhone, iPad, iPod. 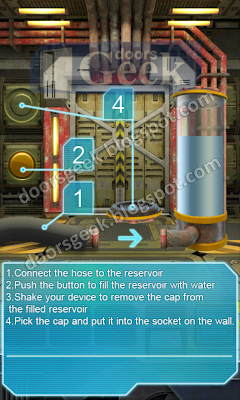 100 Doors : Aliens Space [Level 53] Answer, Cheats, Solution for Android, iPhone, iPad, iPod. 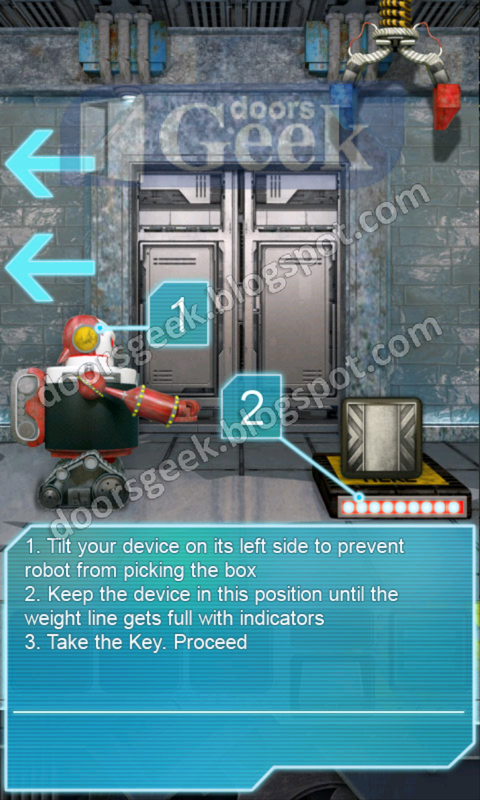 100 Doors : Aliens Space [Level 52] Answer, Cheats, Solution for Android, iPhone, iPad, iPod. 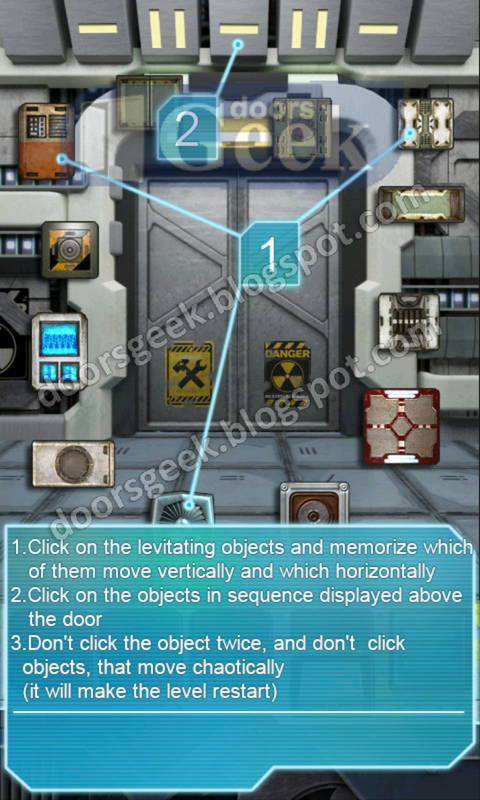 100 Doors : Aliens Space [Level 51] Answer, Cheats, Solution for Android, iPhone, iPad, iPod. 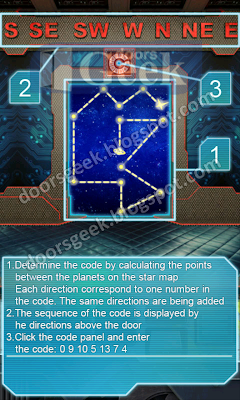 You should just guess the starting point if the way on the scheme stars and ends with a blue circle. 100 Doors : Aliens Space [Level 50] Answer, Cheats, Solution for Android, iPhone, iPad, iPod. 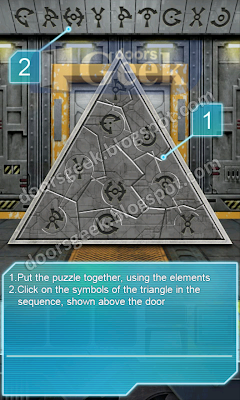 100 Doors : Aliens Space [Level 49] Answer, Cheats, Solution for Android, iPhone, iPad, iPod. 100 Doors : Aliens Space [Level 48] Answer, Cheats, Solution for Android, iPhone, iPad, iPod. 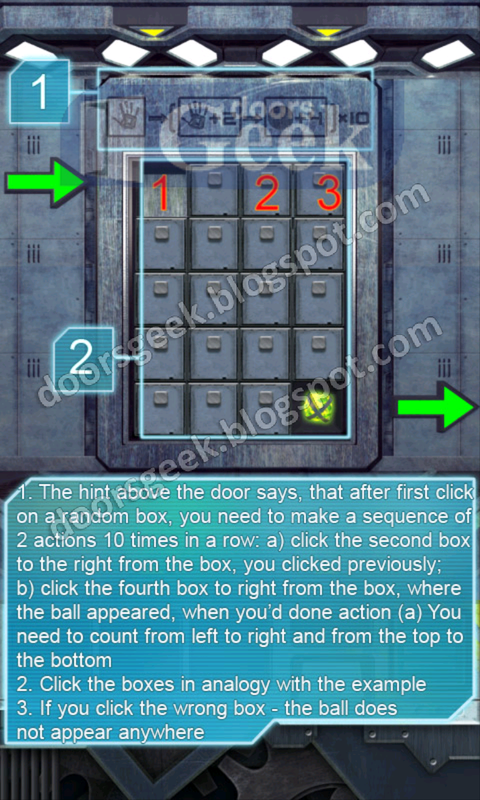 100 Doors : Aliens Space [Level 47] Answer, Cheats, Solution for Android, iPhone, iPad, iPod. 100 Doors : Aliens Space [Level 46] Answer, Cheats, Solution for Android, iPhone, iPad, iPod. 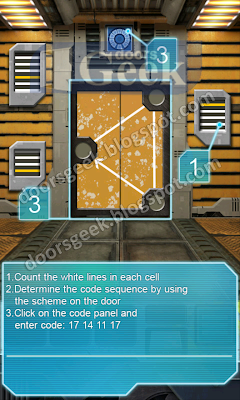 100 Doors : Aliens Space [Level 45] Answer, Cheats, Solution for Android, iPhone, iPad, iPod. 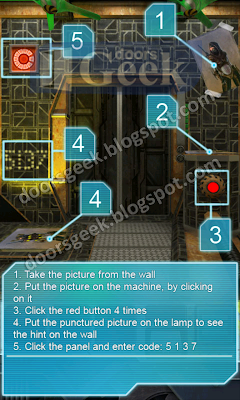 100 Doors : Aliens Space [Level 44] Answer, Cheats, Solution for Android, iPhone, iPad, iPod. 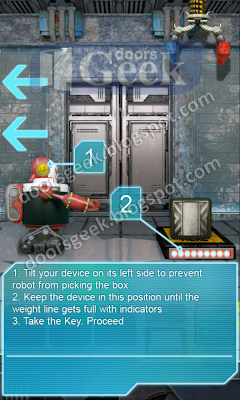 100 Doors : Aliens Space [Level 43] Answer, Cheats, Solution for Android, iPhone, iPad, iPod. 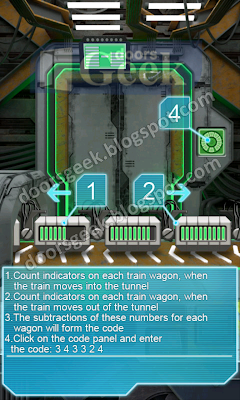 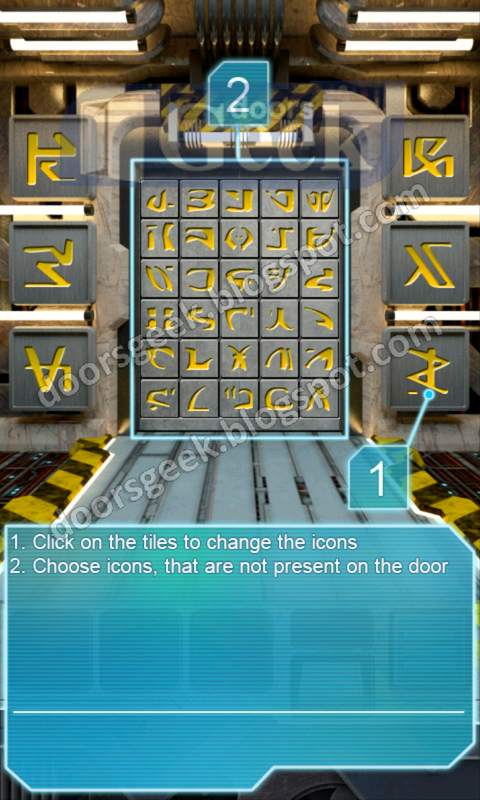 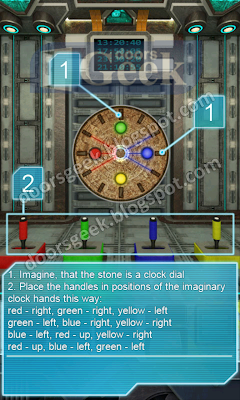 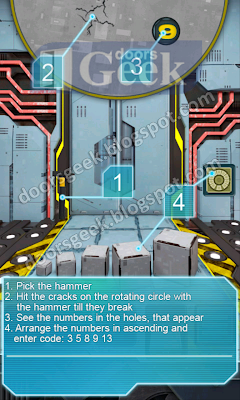 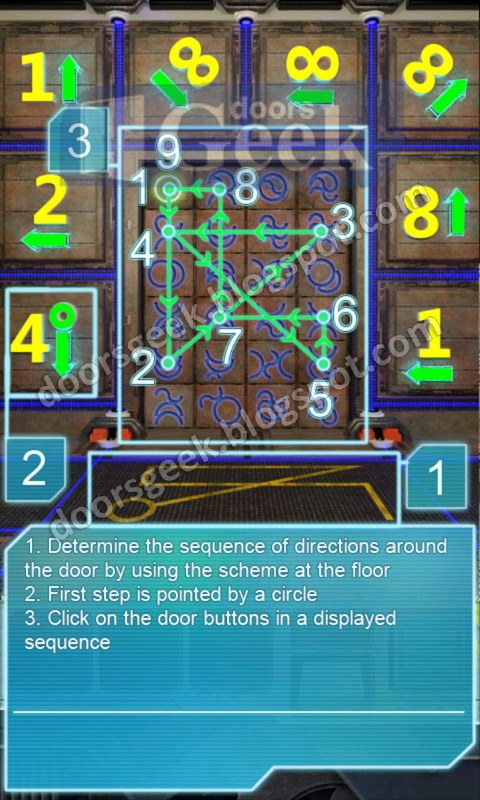 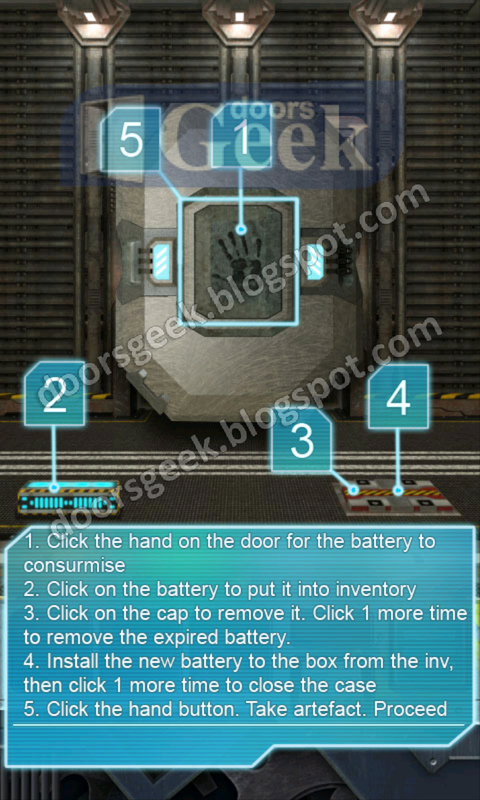 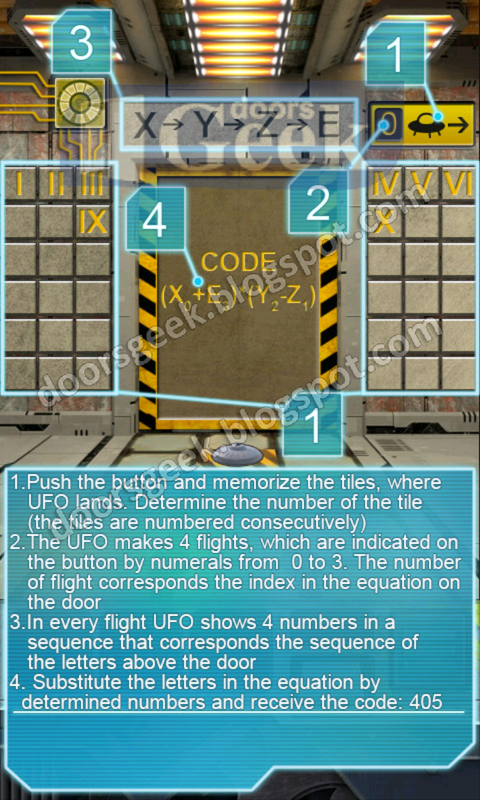 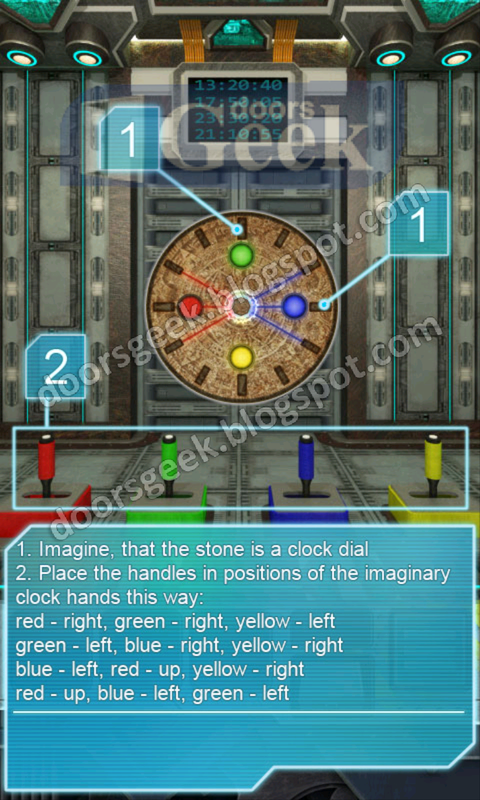 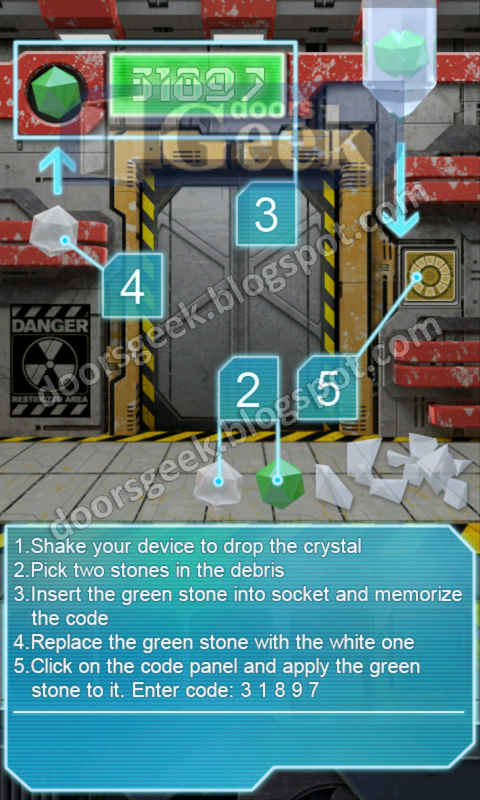 100 Doors : Aliens Space [Level 42] Answer, Cheats, Solution for Android, iPhone, iPad, iPod. 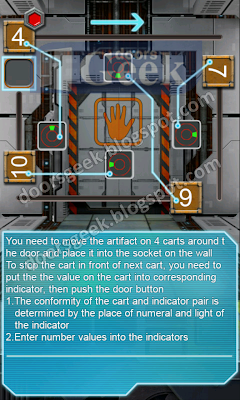 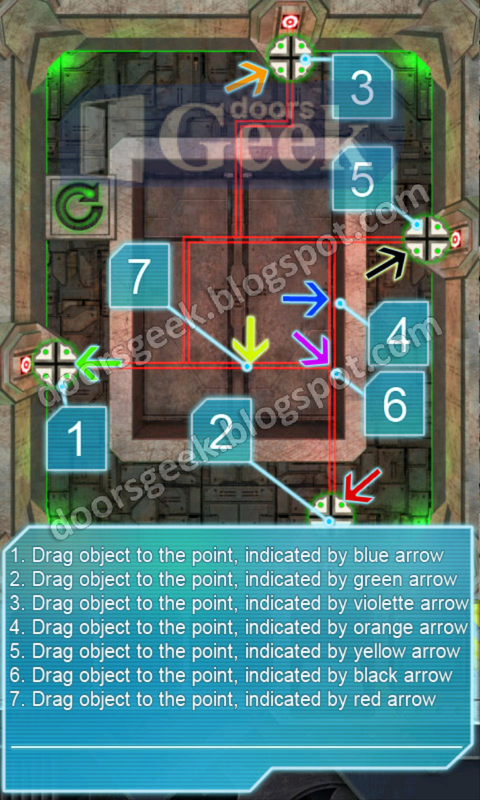 You need to move the artifact on 4 carts around the door and place it into the socket on the wall. 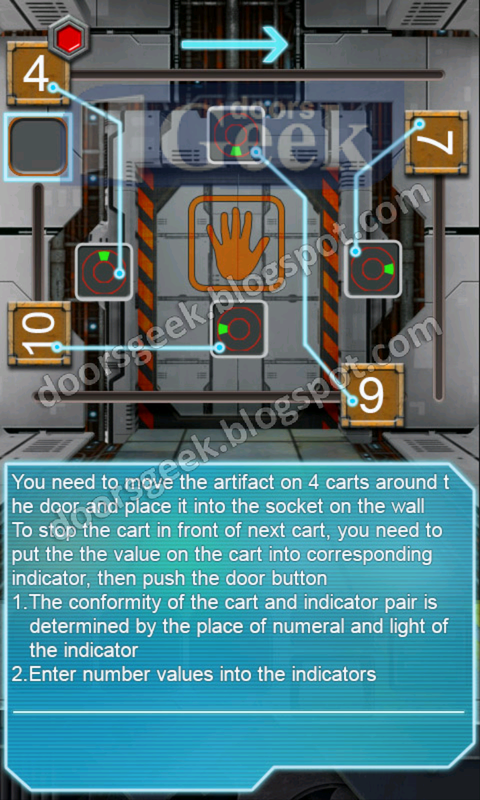 To stop the cart in front of the next car, you need to put the value on the cart into the corresponding indicator, the tap the door button. 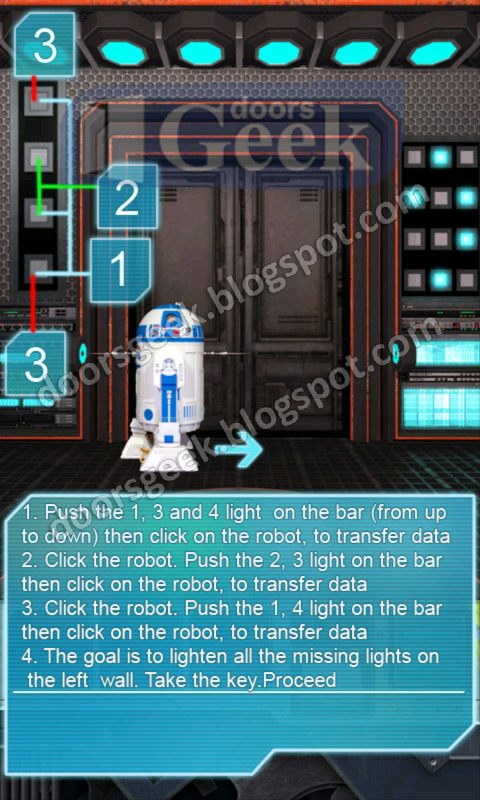 Enter the value in the indicators. 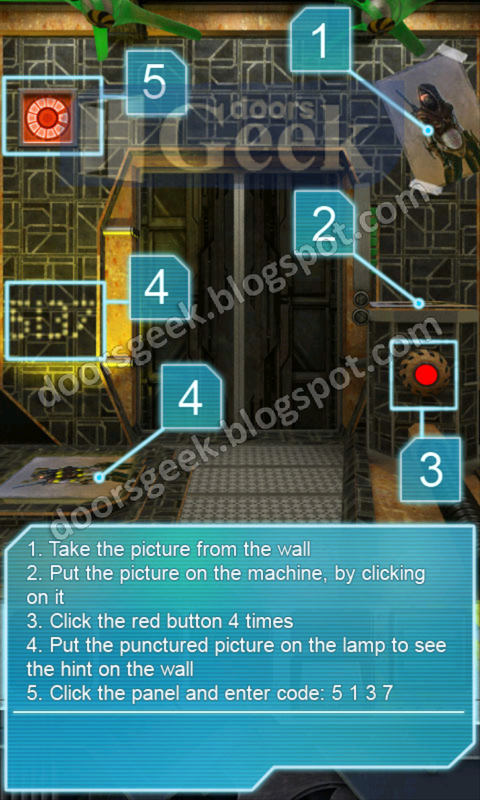 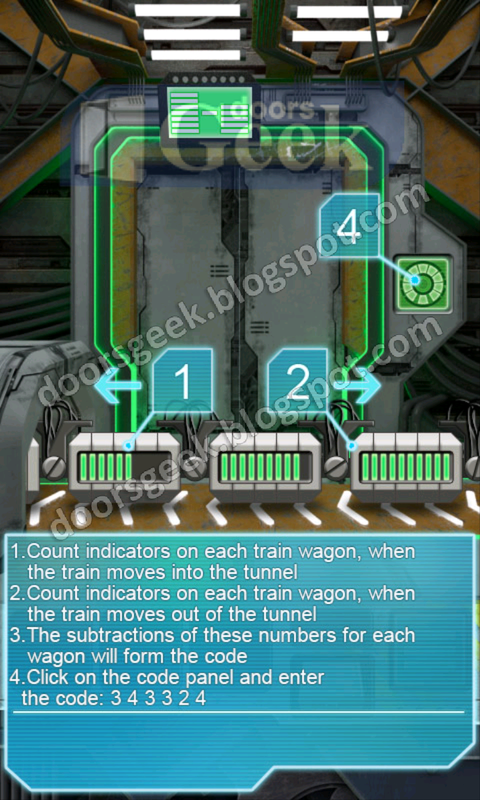 100 Doors : Aliens Space [Level 41] Answer, Cheats, Solution for Android, iPhone, iPad, iPod. 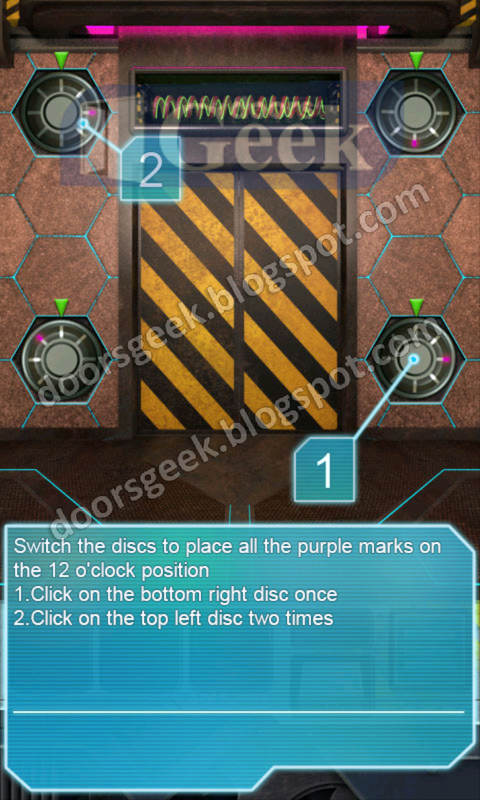 100 Doors : Aliens Space [Level 40] Answer, Cheats, Solution for Android, iPhone, iPad, iPod. 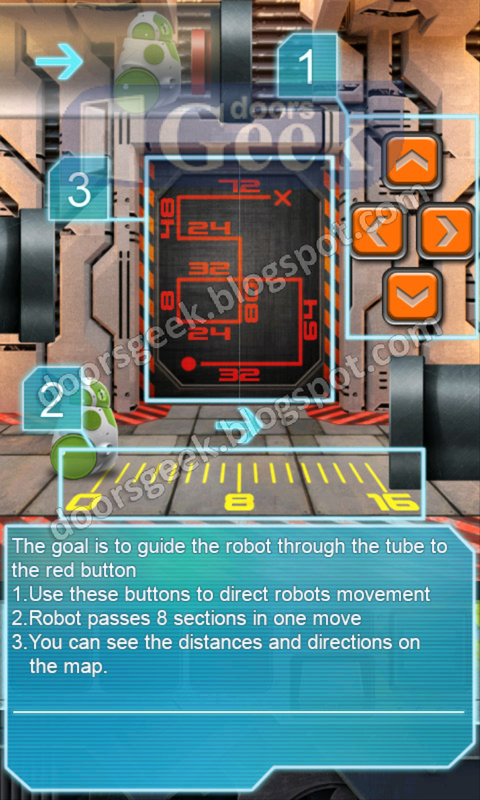 100 Doors : Aliens Space [Level 39] Answer, Cheats, Solution for Android, iPhone, iPad, iPod. 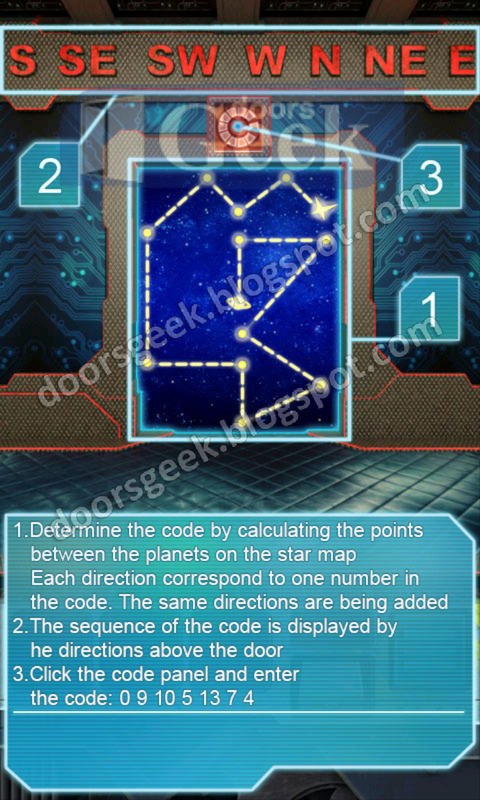 Determine the code by calculating the points between the planets on the map.each direction correspond to one number in the code. 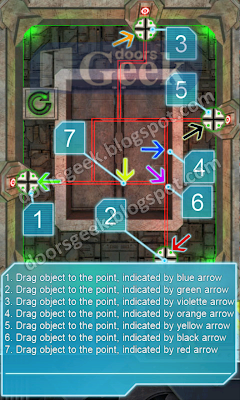 The same directions are being added. 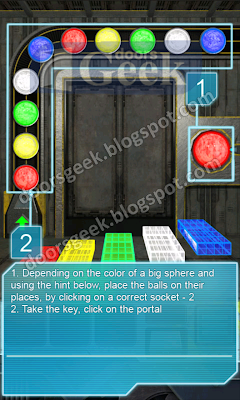 100 Doors : Aliens Space [Level 38] Answer, Cheats, Solution for Android, iPhone, iPad, iPod. 100 Doors : Aliens Space [Level 37] Answer, Cheats, Solution for Android, iPhone, iPad, iPod. 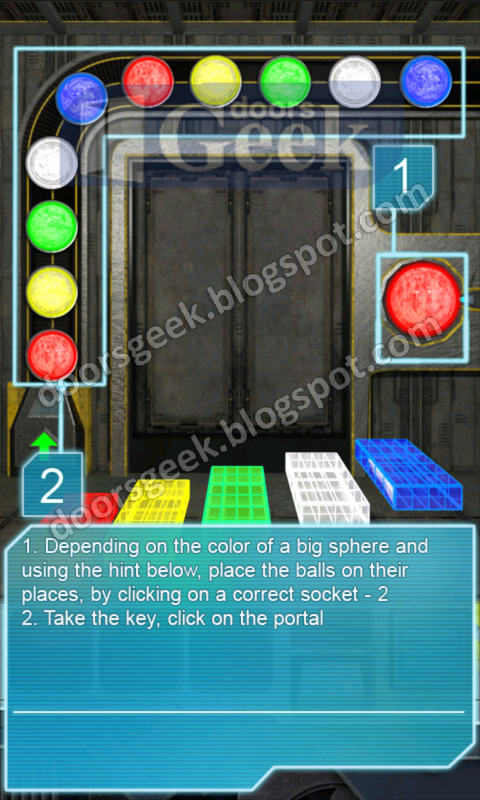 100 Doors : Aliens Space [Level 36] Answer, Cheats, Solution for Android, iPhone, iPad, iPod. 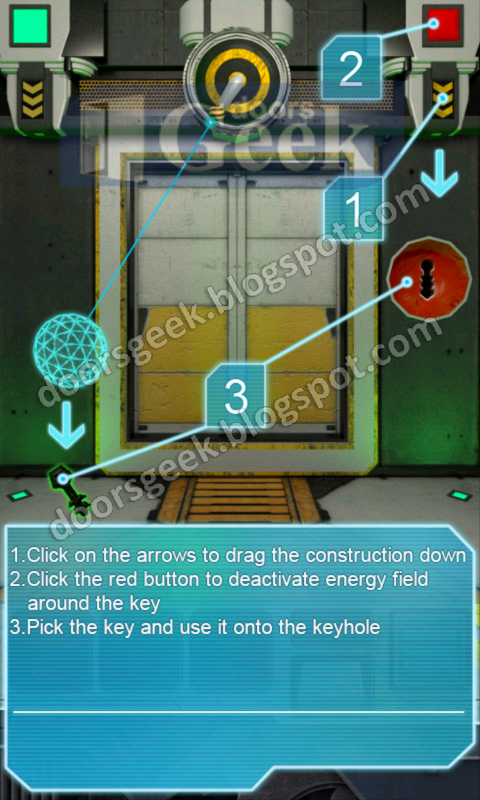 100 Doors : Aliens Space [Level 35] Answer, Cheats, Solution for Android, iPhone, iPad, iPod. Light the lamps in order that is displayed on the door. 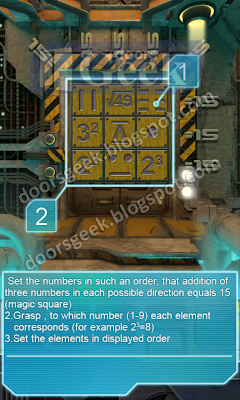 100 Doors : Aliens Space [Level 34] Answer, Cheats, Solution for Android, iPhone, iPad, iPod. 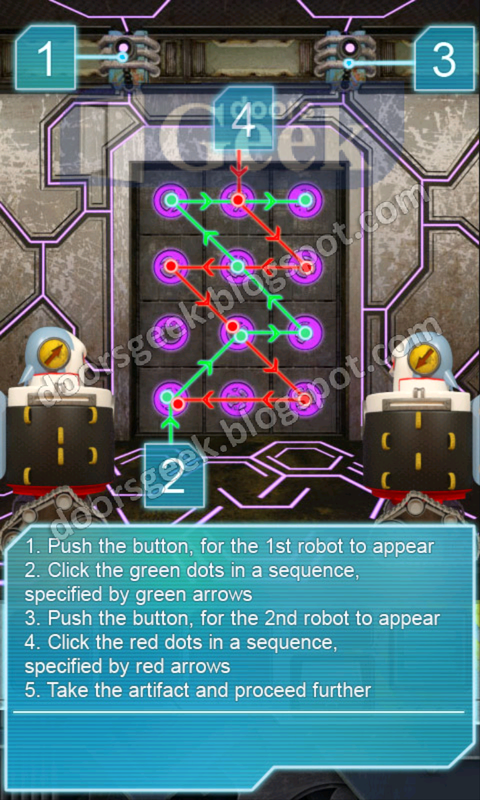 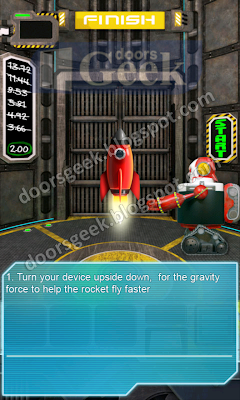 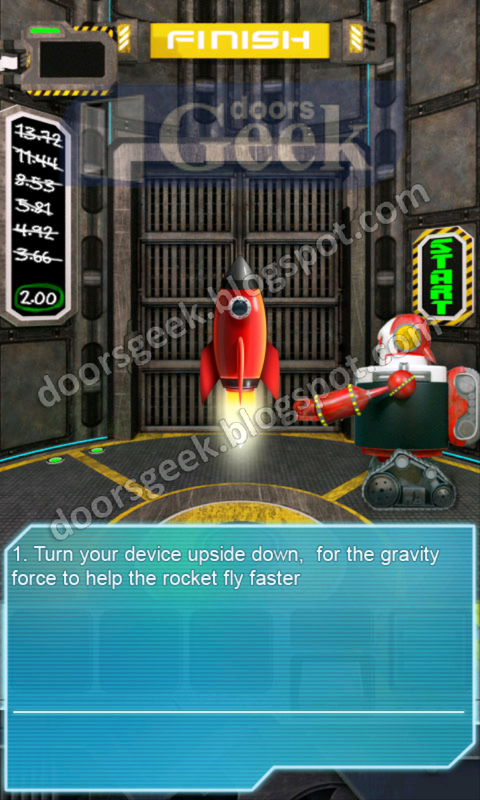 100 Doors : Aliens Space [Level 33] Answer, Cheats, Solution for Android, iPhone, iPad, iPod. 100 Doors : Aliens Space [Level 32] Answer, Cheats, Solution for Android, iPhone, iPad, iPod. 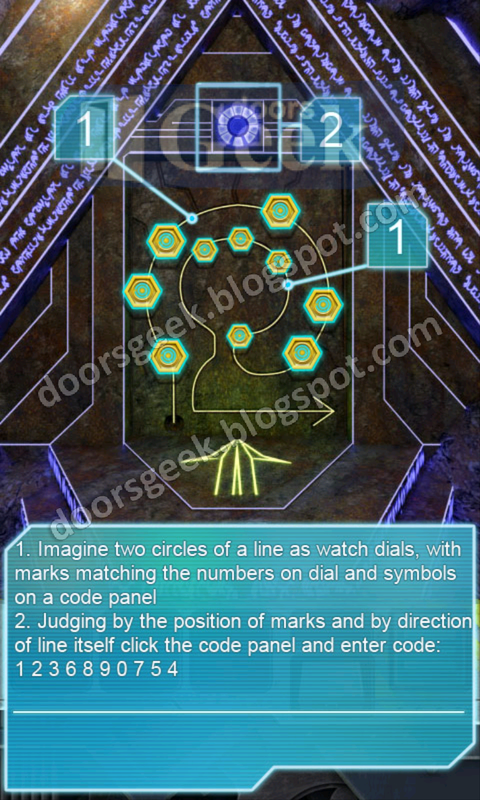 100 Doors : Aliens Space [Level 31] Answer, Cheats, Solution for Android, iPhone, iPad, iPod. Click on the case in the inventory to throw the keys on the floor. 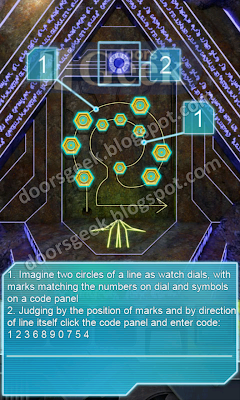 100 Doors : Aliens Space [Level 30] Answer, Cheats, Solution for Android, iPhone, iPad, iPod. 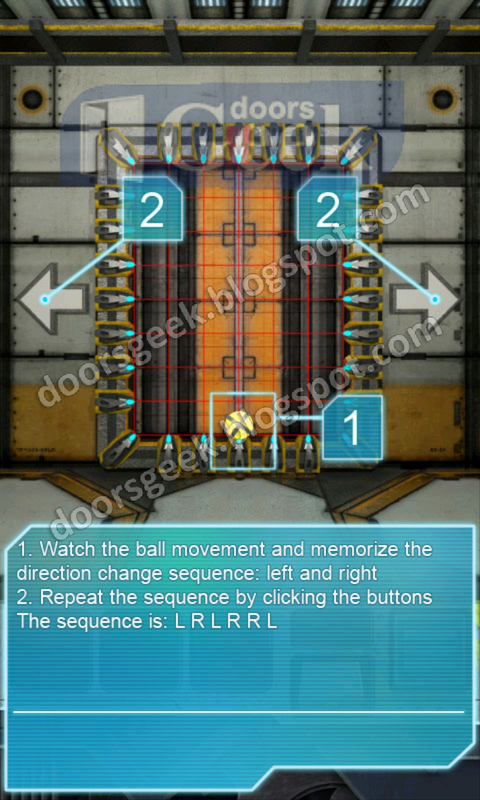 100 Doors : Aliens Space [Level 29] Answer, Cheats, Solution for Android, iPhone, iPad, iPod. 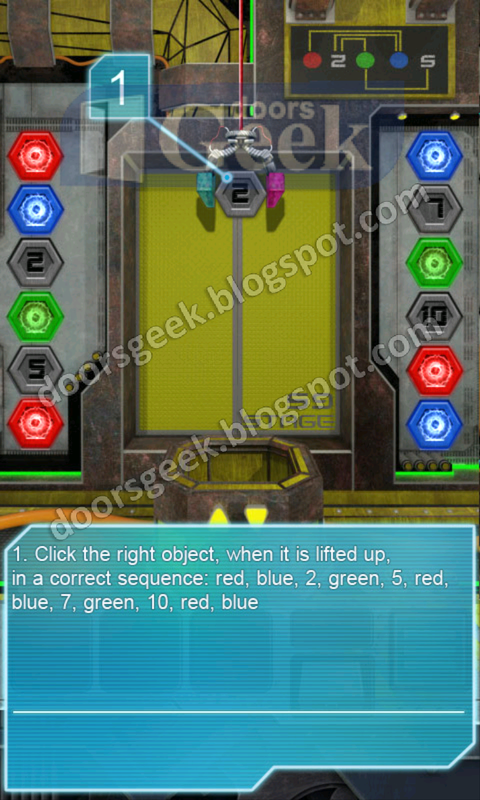 100 Doors : Aliens Space [Level 28] Answer, Cheats, Solution for Android, iPhone, iPad, iPod. 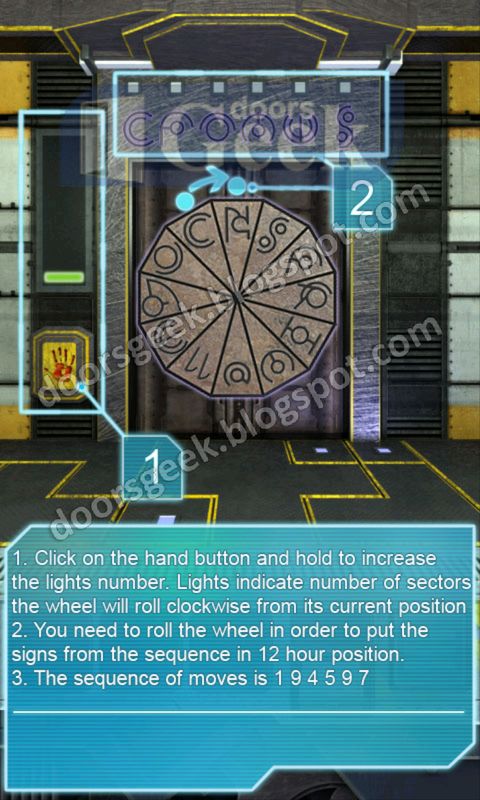 100 Doors : Aliens Space [Level 27] Answer, Cheats, Solution for Android, iPhone, iPad, iPod. 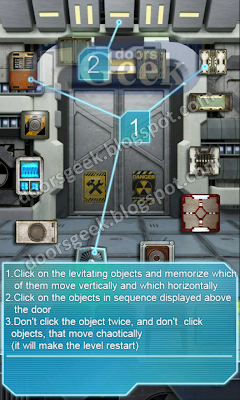 100 Doors : Aliens Space [Level 26] Answer, Cheats, Solution for Android, iPhone, iPad, iPod. 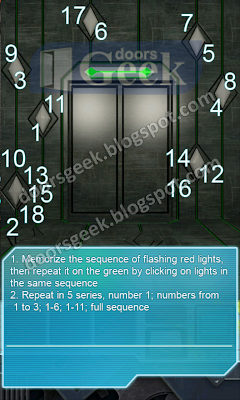 Repeat all the 5 sequences. 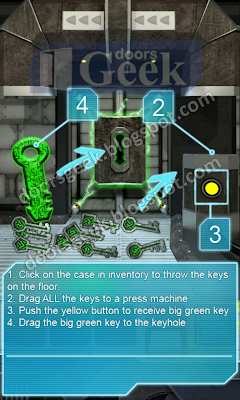 100 Doors : Aliens Space [Level 25] Answer, Cheats, Solution for Android, iPhone, iPad, iPod. 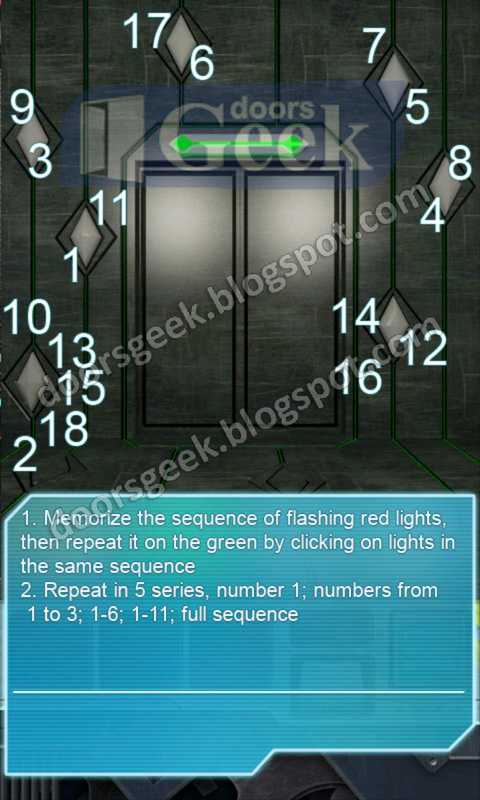 The goal is to light up all the missing lights on the right wall. 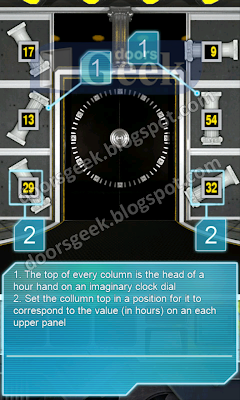 100 Doors : Aliens Space [Level 24] Answer, Cheats, Solution for Android, iPhone, iPad, iPod. 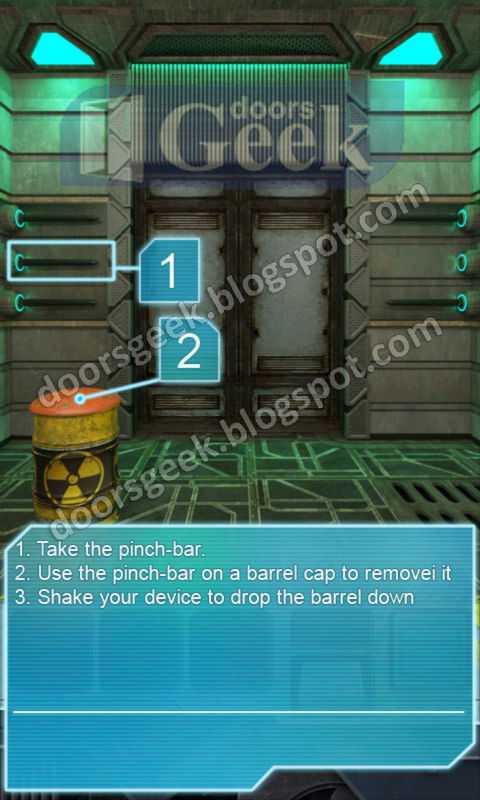 100 Doors : Aliens Space [Level 23] Answer, Cheats, Solution for Android, iPhone, iPad, iPod. 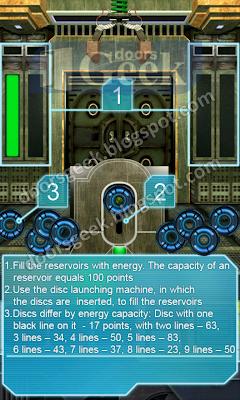 100 Doors : Aliens Space [Level 22] Answer, Cheats, Solution for Android, iPhone, iPad, iPod. 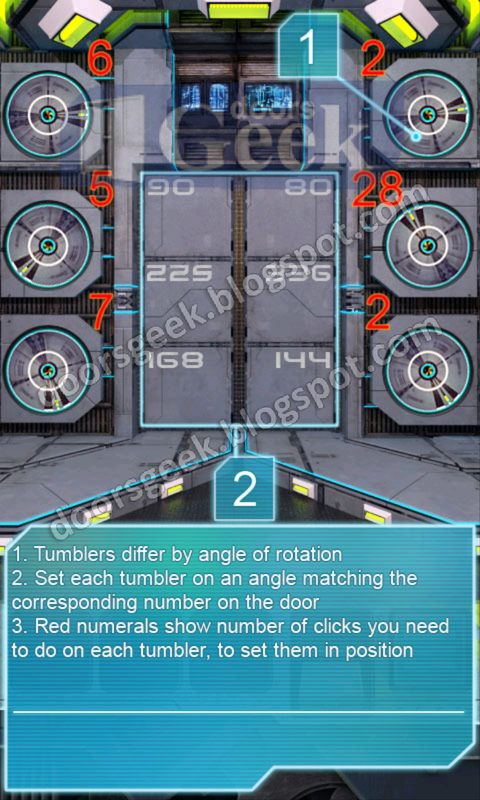 You need to roll the wheel in order to put the signs from the sequence in 12 hour position. 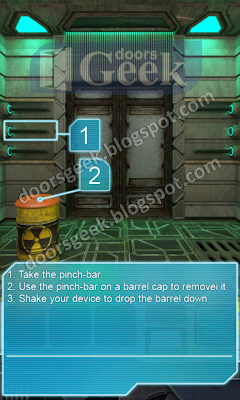 100 Doors : Aliens Space [Level 21] Answer, Cheats, Solution for Android, iPhone, iPad, iPod. 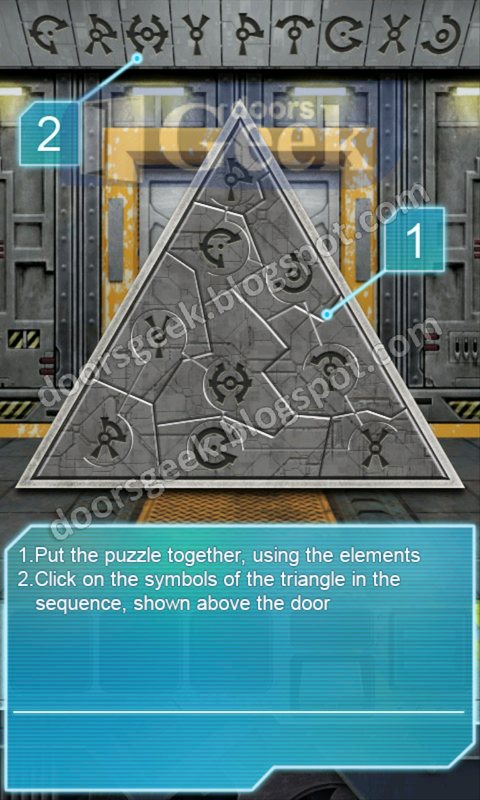 Put the puzzle together, using the pieces collected on previous levels. The pieces must be put in the given order on the top side of the door. 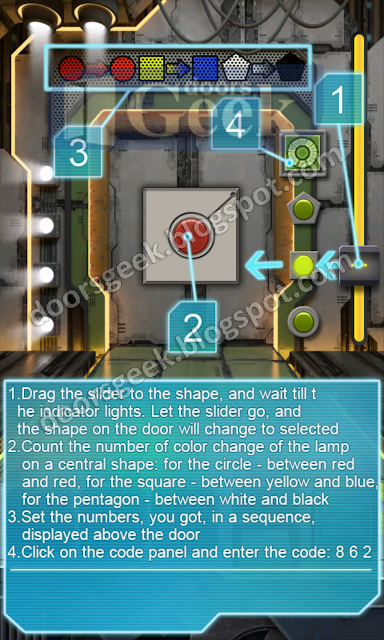 100 Doors : Aliens Space [Level 20] Answer, Cheats, Solution for Android, iPhone, iPad, iPod. 100 Doors : Aliens Space [Level 19] Answer, Cheats, Solution for Android, iPhone, iPad, iPod. 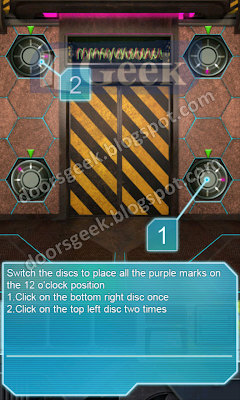 100 Doors : Aliens Space [Level 18] Answer, Cheats, Solution for Android, iPhone, iPad, iPod. 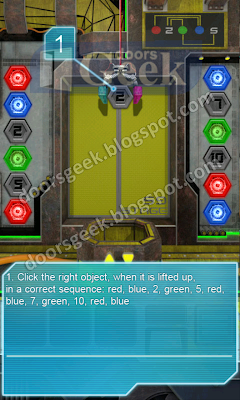 100 Doors : Aliens Space [Level 17] Answer, Cheats, Solution for Android, iPhone, iPad, iPod.